Well you knew it had to be too good to be true – a girl can’t stay silent forever when pushing out her eggs. In my neighbourhood when the hens are laying it is accompanied by a dog that howls along with the tune! Thanks for your comments. That’s all I’ll need now!!!!! Stanley barking along with Swiffer! The neighbors are going to love this! We had one going off this morning as well. they must sense the fine weather. She is fine once we let her out of the coop. I just hope Swiffer keeps her songs REALLY SHORT. 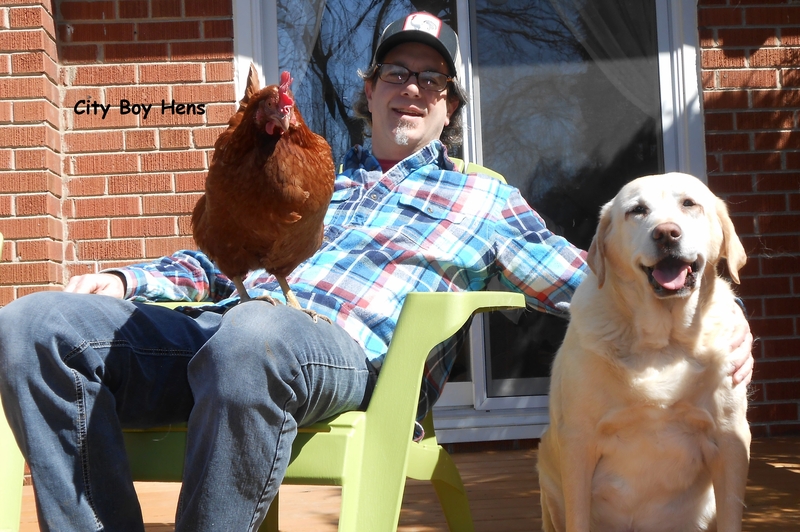 Happy neighbors…City Boy keeps his hens! Haha! Too funny. Not having chickens myself (someday), I’m actually a bit jealous! Good luck with keeping her incognito! Thanks for your comments. We’re gonna’ need more than LUCK! Visiting from the From The Farm blog hop! Thanks for your comments. I envy you on the 20 wooded acres. Hope you’ll stop by for another laugh. I can’t wait to hear my girls singing that song…but we live in a very rural area so it will just blend in with the other hens in the community. Have you thought about a nest box with sound-proof walls? Joking of course. I hope she doesn’t get you all busted, you look pretty happy together. Thanks for dropping by. I, too, hope that we do not get busted. It’s kinda’ sad to say but “our fate” is in the “hands” of Swiffer. Thanks for following my blog! Love it! Our flock was mostly quiet with a short, melodious egg song from each proper lady. Then I added three Black Copper Marans and all hell broke loose. Now it sounds like some girl thrasher band out there in the morning! Thanks for your comment. So far it’s only Swiffer…..I hope I don’t get THE WHOLE BAND! Lmao! Sorry about the new noise, but this post cracked me up! Hope your singer learns to shut her trap! I too hope she learns to shut her trap. So far…she is a slow learner. HA! 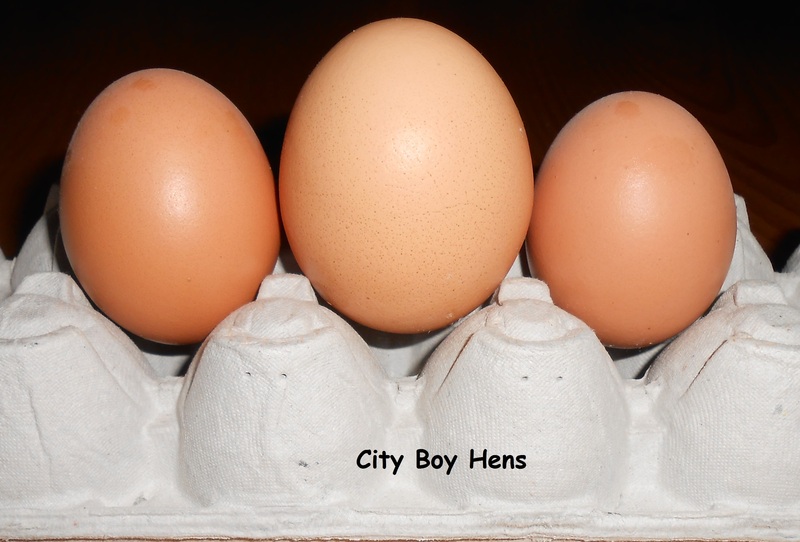 Great post and good luck with your city chickens! Thanks so much for sharing at the Creative HomeAcre Hop! Looking forward to seeing what you share this week! Love comments ours sing after each egg 4 different we have a tenor a soprano and and are hoping for a baritone to start laying! Wow…that’s a mighty tall order! Thanks for your comments and for following the blog.